The best password manager is one that is secure, easy to use, and seamlessly syncs between devices. 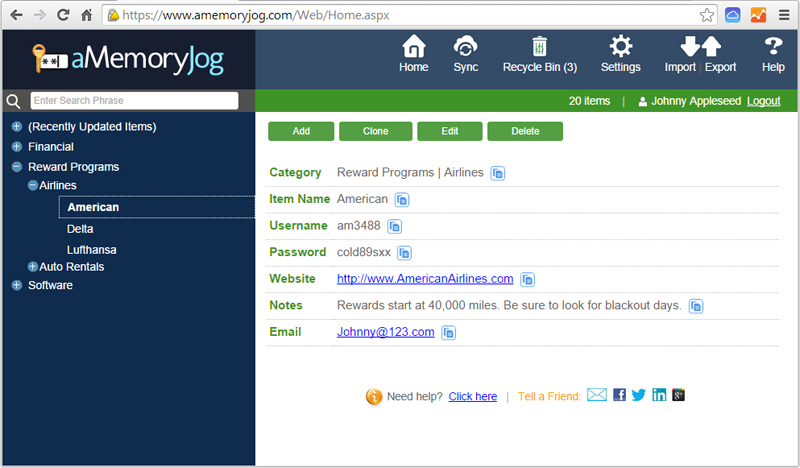 aMemoryJog fits the bill -- never forget account numbers, passwords, loyalty rewards, or any other personal information again. Access from your PC, Mac, iPhone or Tablet. You probably carry your smart phone everywhere. Access your passwords, accounts, loyalty cards, credit cards, Wi-Fi codes, and other personal information from your smart phone. Checking into a hotel and forgot your loyalty card? 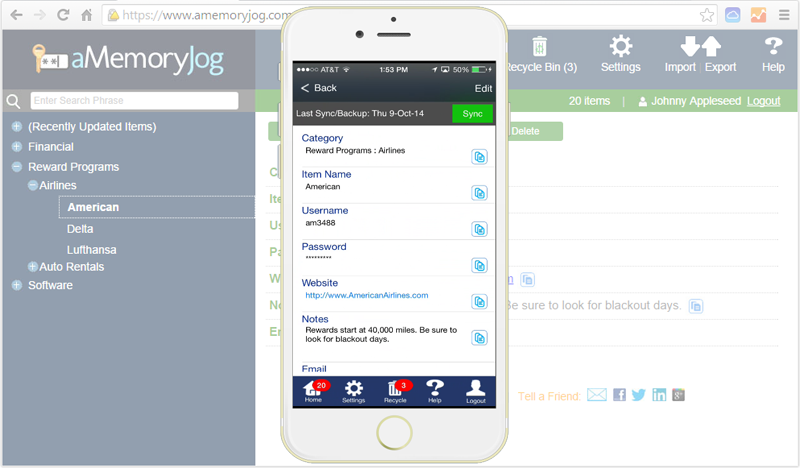 Access it with the aMemoryJog password manager app. Can't remember a website password? 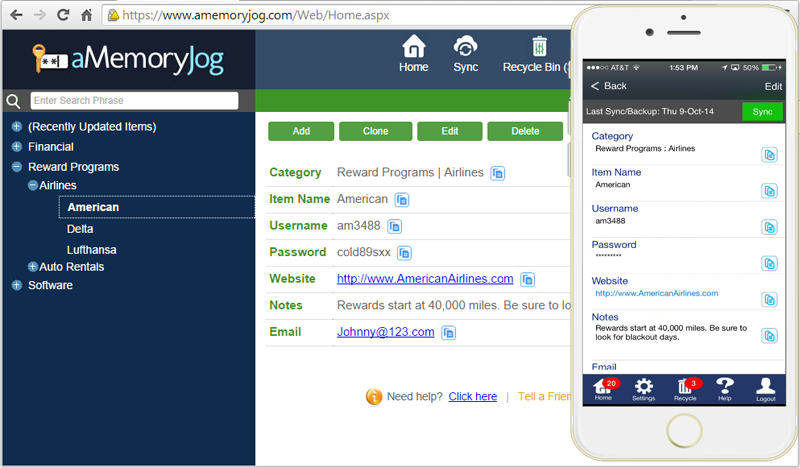 Pull up aMemoryJog on your iPhone and retrieve it. 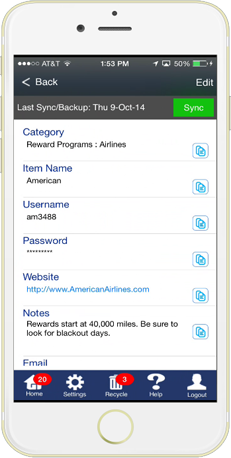 Store easily forgotten things like your VIN number, tag numbers, passport information, and much more. Want to access your personal information while at your tablet or computer? Need to import data from a spreadsheet or other program? Phone get lost or stolen? Use the web edition's Remote Self-Destruct feature to erase the aMemoryJog information from your phone (you can restore it later). The web edition seamlessly syncs with the iPhone edition and supports other languages than English.